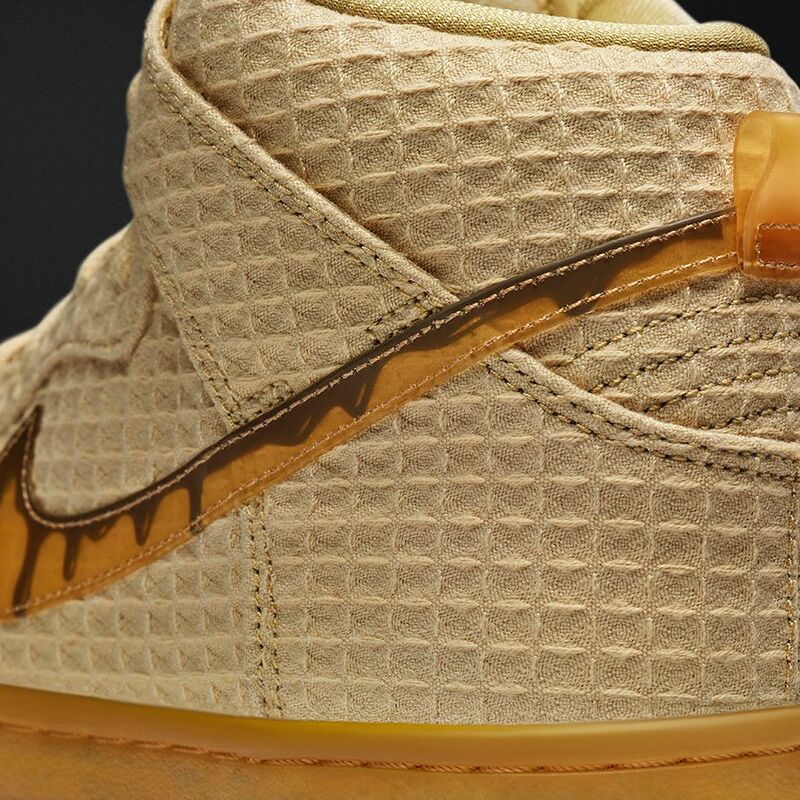 Nike SB take direct inspiration from a culinary favourite for their latest iteration of the Dunk High with the “Waffle”. 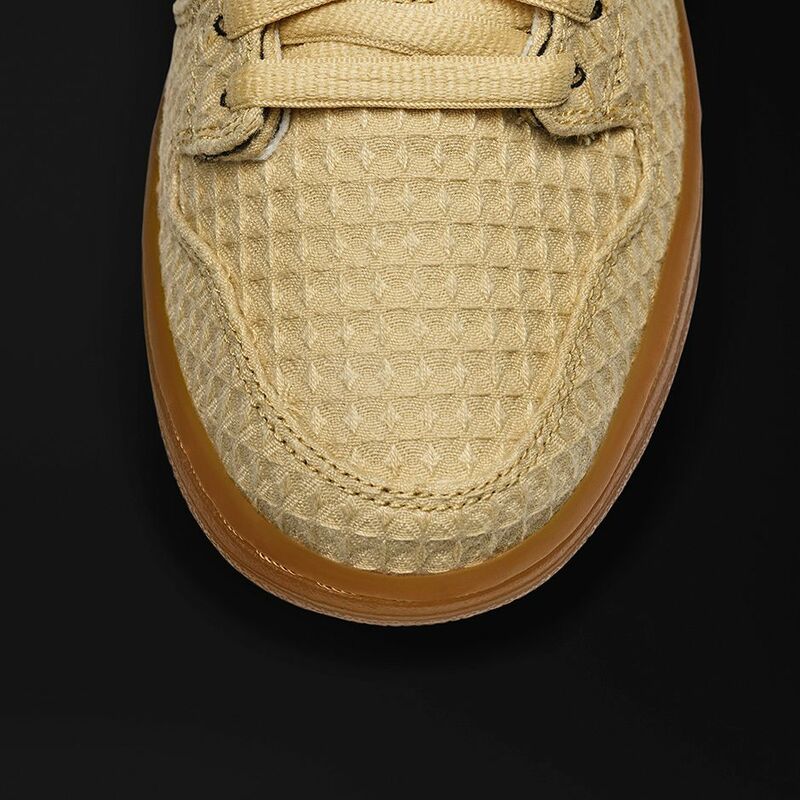 The unique take on the popular skate silhouette sees the wheat upper completely decked out in a woven, waffle-pattern, with mesh detailing on the tongue for added breathability. 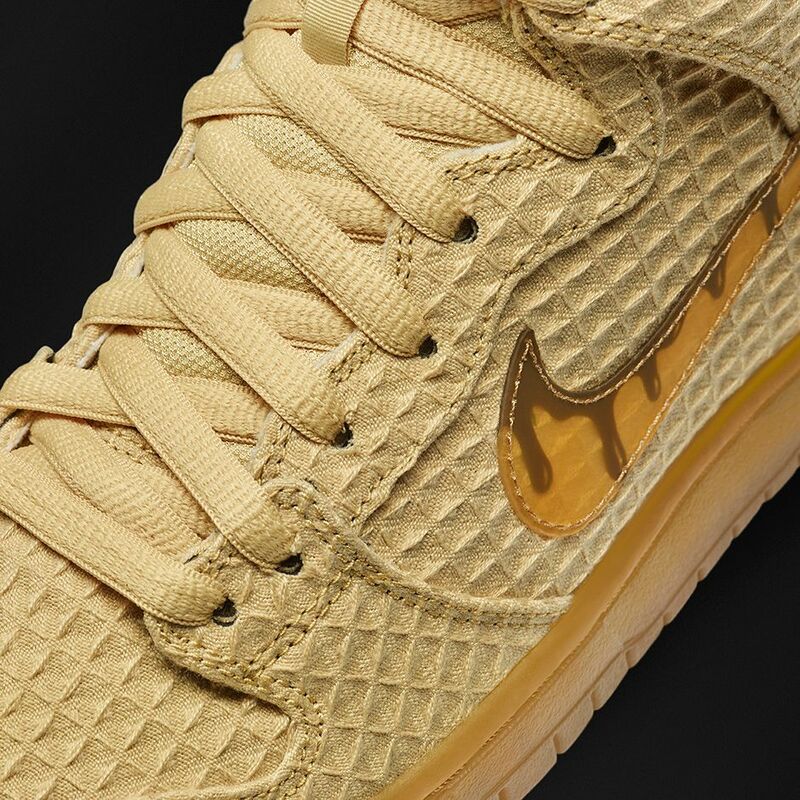 Tonal lacing and a gum sole unit ties the theme together, while the swoosh branding has been reworked to resemble dripping syrup and the insole features a ‘chicken and waffles’ graphic to complete the look. 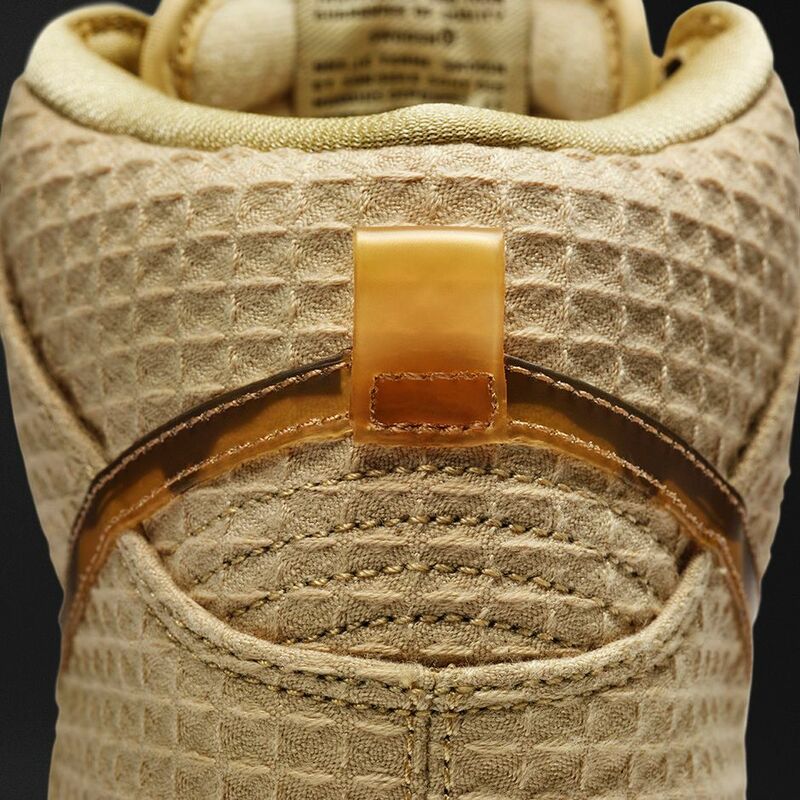 Functional features including comfort enhancing Zoom Air technology in the heel for cushioning upon impact, while a durable and flexible rubber outsoles offer up optimal board feel. 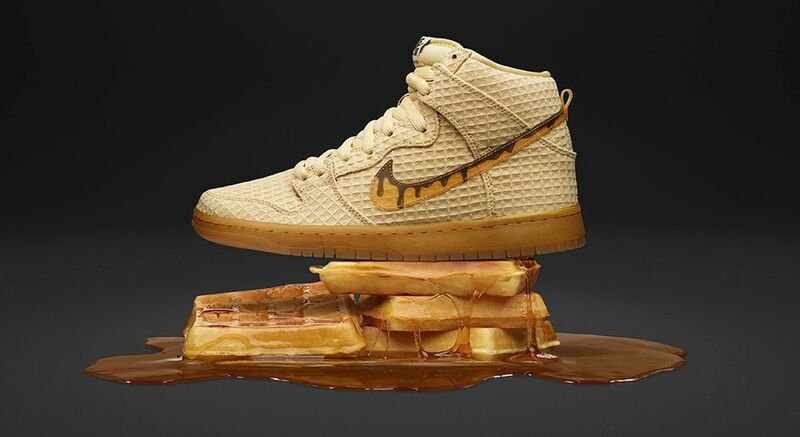 The Nike SB Dunk High “Waffle” will be available with us this Saturday, 2nd of April, in limited numbers. Keep up to date with all release news on our social pages. 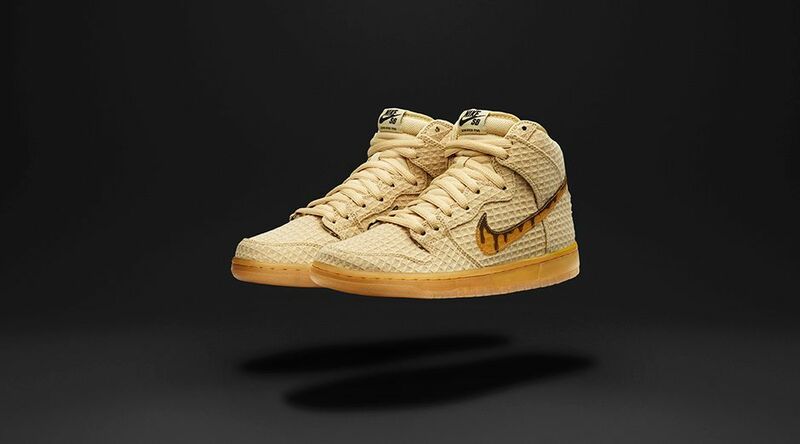 You can shop our current range of Nike SB HERE.